There are many different types of birth control available, but they are often grouped in to two categories – progestin only pills and combination pills. These are classified by the types of female hormones these oral contraceptives contain. Altavera® is referred to as a combination pill because it contains two types of hormones, progestin and estrogen. 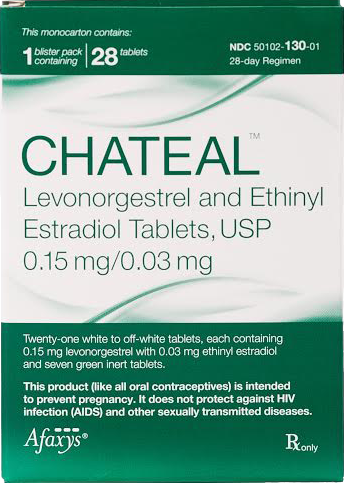 This birth control pill works in a variety of ways to greatly reduce the chance of an unintended pregnancy occurring. In fact, research has found that only 1 out of every 100 women taking the pill correctly will become pregnant within the first year of use. If there is more than a 24 hour lapse in time between taking pills however, the effectiveness can be compromised. When taken as directed (the same time each day), most often an egg is no longer released (ovulation) which makes fertilization not possible. It is still possible for an egg to be released even when a woman is taking birth control as directed by her prescribing physician. This does not mean however that fertilization and implantation will actually occur. Oral contraceptives like Altavera® generic work in several ways to prevent pregnancy. If sperm does reach an egg and it becomes fertilized, implantation is less likely because changes are made to the uterine lining, making it less hospitable for an egg to implant. Additionally, cervical mucus becomes thicker from oral contraceptive use which makes it more difficult for sperm to travel to the egg in the first place. The main use for Altervera® is for pregnancy prevention but it may also be prescribed for a number of other health reasons. Most women find that their periods become lighter, shorter and less painful while taking combination birth control pills like Altavera® 28. For this reason, oral contraceptives are often used for the treatment of dysmenorrhea (painful bleeding), hypermenorrhea (heavy bleeding), and endometriosis. Additional conditions may be treated as well including polycystic ovary syndrome, hyperandrogenism, abnormal bleeding from the uterus and amenorrhea (no period for months). It’s important to never self-diagnose or begin taking any medications without a valid prescription. Never share your prescription medication with others. If you ever miss your birth control Altavera® dose, it’s important to take it as soon as you remember. Each missed dose will reduce the effectiveness of this medication. Your prescribing information will be given to you with your pills so it’s important to read the directions for missed dosing. If you have other specific questions, you can speak with your pharmacist to get further direction. There are certain medications that can interact with, and reduce the efficacy of, Altavera® 28. This is why it is important to let your physician know about any medications (over-the-counter or prescription) that you are taking. If you begin taking certain types of antibiotics, you may need to use a backup, non-hormonal, form of birth control.